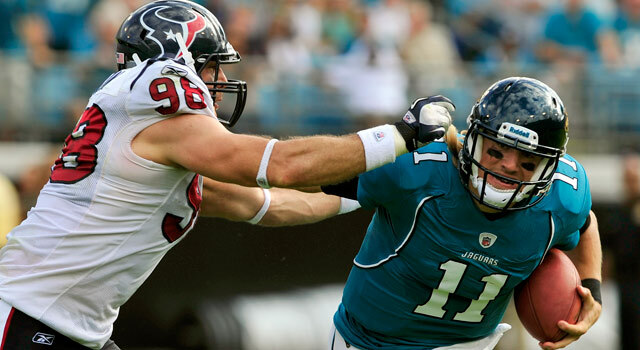 Published: July 5, 2012 at 03:34 p.m.
Connor Barwin enjoyed a breakthrough season in his third year with the Texans, piling up 11.5 sacks in 2011. 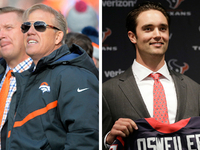 Wade Phillips might fall short as a head coach, but there is no denying his greatness as a defensive coordinator. 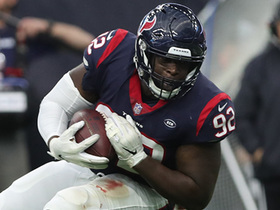 Phillips has orchestrated several dramatic turnarounds as a defensive architect, but none were as impressive as his work with the Houston Texans last season. He not only transformed a unit that ranked dead last in nearly every major category in 2010 into the No. 2 defense in the league, but he did it without the services of a Pro Bowl performer (Mario Williams) for most of the season. 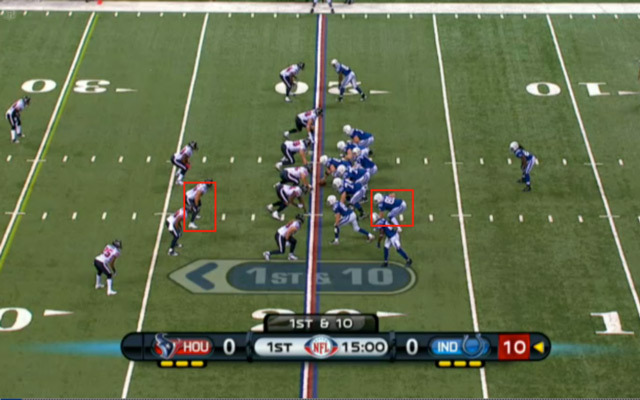 1) Stopping the run is the Texans' priority. The NFL has evolved into a passing league, but elite defenses still focus on shutting down the run to force opponents into a one-dimensional approach. The Texans were outstanding against the run in 2011, allowing only 96.0 rush yards a game. Phillips' bunch held 10 of its 18 opponents (including playoffs) to fewer than 100 yards on the ground, with only Daniel Thomas and Ray Rice tallying 100-yard games individually. In breaking down some of Houston's game tape, the first thing that stood out to me was the speed and physicality of the defense. Texans defenders fly to the ball with reckless abandon and their commitment to getting multiple hats on the ball carrier limits big plays on the ground. 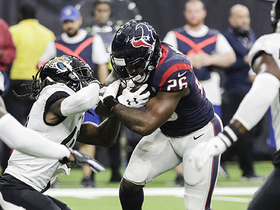 In addition, the swarming nature of the Texans' defense produces fumbles as the second and third defenders on the scene aggressively tug at the runner's arms to jar the ball free. 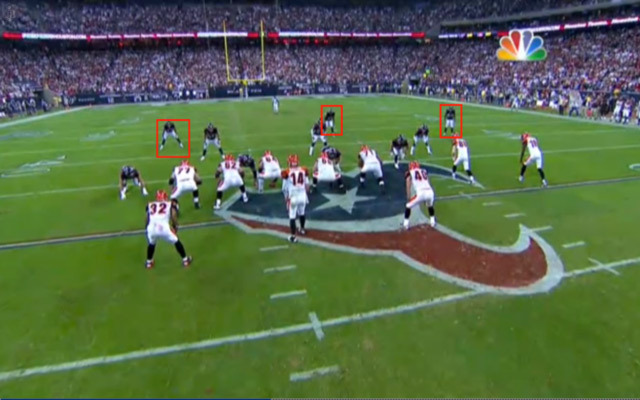 From a schematic standpoint, the Texans run a "Quarters" coverage that puts as many as nine defenders near the box. The safeties are positioned at 10 yards from the line of scrimmage and assigned to fill open lanes depending on the direction of the run. When the unit works in unison, runners are unable to find cutback lanes and limited to minimal gains. Phillips has always been a proponent of this tactic in his previous stints, and his implementation of the scheme in Houston dramatically turned around the unit's woes against the run. 2) Hustle produces big results for Houston's pass rush. The Texans ranked sixth in the NFL with 44 sacks, but I would attribute their impressive production to effort and determination, as opposed to schematic wizardry. Led by Antonio Smith, J.J. Watt, Connor Barwin and Brooks Reed, Houston's defensive line simply outworked and overpowered opponents at the line of scrimmage. As I studied the Texans' sacks on tape, I was amazed at how many of these negative plays were created by extra effort from the defensive line. Barwin and Reed, in particular, were relentless in their pursuit of the quarterback and routinely collected sacks after being stonewalled initially at the line. 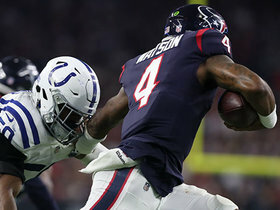 While the non-stop motors of the Texans' front line fueled their surge in sack production, I believe a technical adjustment also played a role in the unit's success. 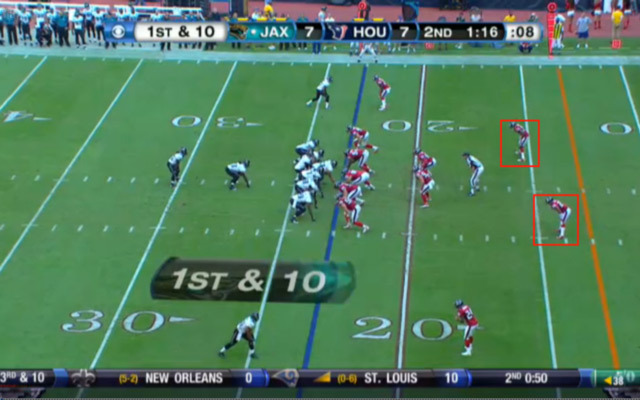 In studying the tape, I noticed Houston's defensive ends would stay in their assigned rush lanes on the edges until they reached the depth of the quarterback's drops. If they were unable to get to the QB utilizing a speed or bull rush technique, the edge players would slip inside of the offensive tackle and meet the quarterback as he stepped up into the pocket. Watch the video to your right to see this crafty maneuver in action on a Reed sack in Week 12 against the Jacksonville Jaguars. 3) Simplicity eliminates big plays in coverage. In a league where schematic creativity is viewed as ingenuity, Phillips has become a defensive mastermind by employing a simplistic approach in the secondary. Unlike some defensive gurus who incorporate a myriad of coverage and pre-snap disguises designed to confuse quarterbacks, Phillips favors an unsophisticated scheme that uses two basic coverage concepts: Cover 4 (quarters coverage) and Cover 8 (quarter-quarter-half). Although each of these tactics features a few adjustments based on offensive formations and/or route combinations, the concepts are easy to understand, which allows Texans defenders to play faster in the back end. Allow me to provide a brief breakdown of the Texans' coverages. 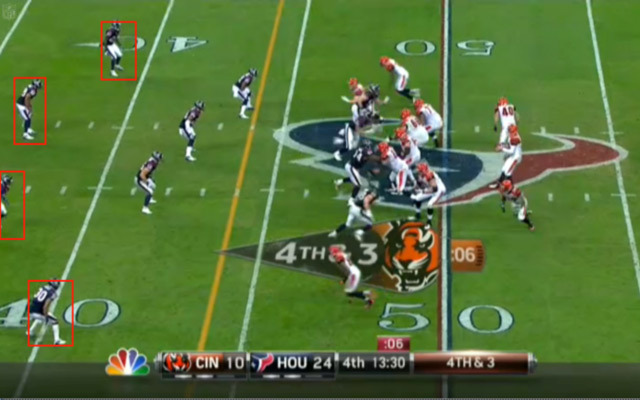 In this first screengrab from the Week 14 win over the Cincinnati Bengals, the Texans are playing "Quarters" coverage. The cornerbacks are aligned at eight yards and assigned to cover the outside quarters of the field. The safeties are positioned near the hash marks at 10 yards and assigned to patrol the middle of the field. 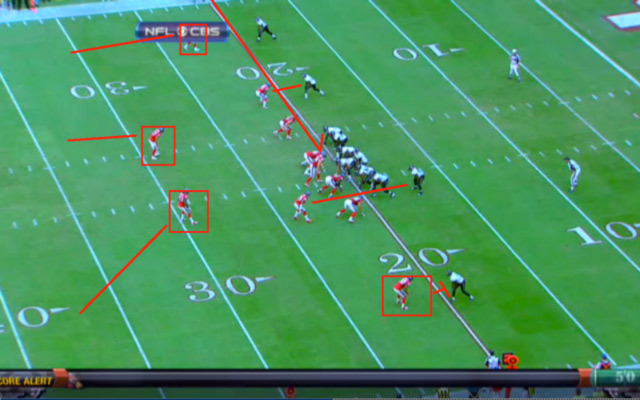 Phillips' simple game plan also allows Texans defenders to focus on playing with the proper technique in coverage. For cornerbacks and safeties, in particular, this allows them to concentrate on taking away the deep ball by consistently playing with proper depth and leverage in coverage. Last season, the approach worked to perfection, as the Texans ranked fourth in passing yards allowed and surrendered only six completions of 40-plus yards. 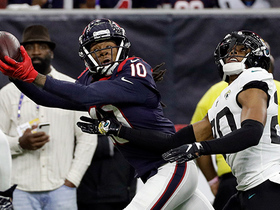 With most NFL quarterbacks lacking the patience and discipline to string together completions on an assortment of short throws, the commitment to eliminating the deep ball is a big part of Houston's winning strategy. 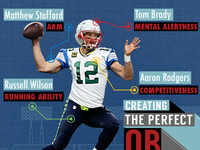 4) Phillips' adaptability allows the Texans' top players to make plays. One of Phillips' best coaching qualities is his capacity to identify the strengths of his personnel and put his best players in positions to succeed. He consistently demonstrated an ability to maximize the talents of his players in previous stints with the Falcons, Chargers and Cowboys, and he showcased this extraordinary defensive acumen in his first season in Houston. In studying the Texans' defensive evolution in 2011, Phillips deserves credit for tweaking the roles of his top players throughout the season. He used Barwin as a hybrid rusher/drop end during the first half of the season before deploying him extensively as a rusher down the stretch. As a result, he racked up 11.5 sacks after only tallying 4.5 during the first two seasons of his career. Phillips also tapped into Watt's underrated quickness and athleticism by incorporating him into the pass rush on stunts and games. 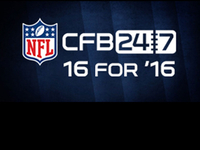 He routinely put the hulking defender on the move and the results were overwhelmingly positive for the Texans. 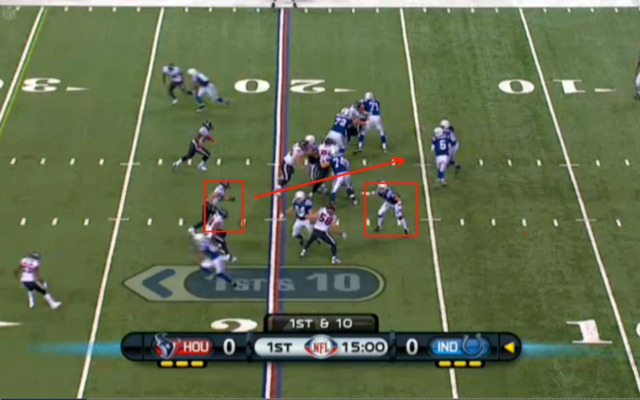 However, it was Phillips' clever utilization of Brian Cushing that is most impressive in my mind. 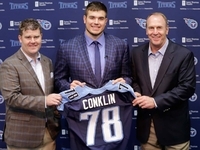 He made the third-year pro his designated playmaker on the second level, and gave him the freedom to create havoc against both the run and pass. One of the best ways Phillips tapped into the playmaking talents of Cushing was through the use of the blitz. 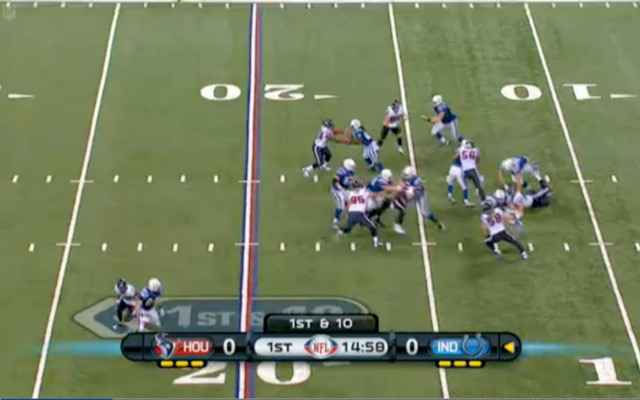 In the following screengrab, Cushing is assigned the Colts tight end (Brody Eldridge) in coverage, but has the freedom to "Green Dog" (suddenly blitz the quarterback) if he turns to block the edge rusher. When Eldridge turns out to block Reed, Cushing shoots through the open gap to put a big hit on the unsuspecting quarterback in the pocket.